Welcome to Rhoads Memorial Library's website! 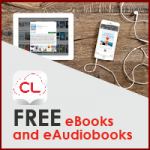 We are a member of the Harrington Library Consortium which provides our patrons with resources found in much larger library systems, such as downloadable eBooks and audiobooks. Our facility features a friendly atmosphere conducive to reading, relaxation, and studying. There is also a large conference room available for meetings. Please check out the many useful links found in the pull-down menus above and the icons below, or best of all, come check us out! Tuesday - Friday 9 a.m. - 6 p.m.